Clay Graham is sensitive to both the seriousness of being placed under arrest and accused of a crime, and the very real need for immediate and competent representation. 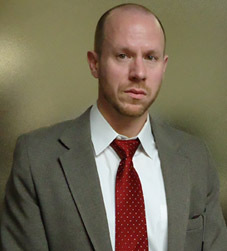 I manage criminal cases in Tarrant and Surrounding Counties. For the last ten years I have defended Registered Nurses, Vocational Nurses and other health care, and allied care professionals in Texas that have been accused of violating the Act or rules that govern their professional health care practice. Clay’s fifteen years of experience in practice as a Registered Nurse is the edge that you need if you are faced with allegations from the nursing board and need a nurse license defense attorney. We have represented well over 100 Registered Nurses before the Texas Board of Nursing. I Defend Nurses and other health care professionals throughout the State of Texas. I am dedicated and prepared to provide you with quality, effective representation that is tailored to your needs. Call 817-334-0081 Now for A Free Consultation.